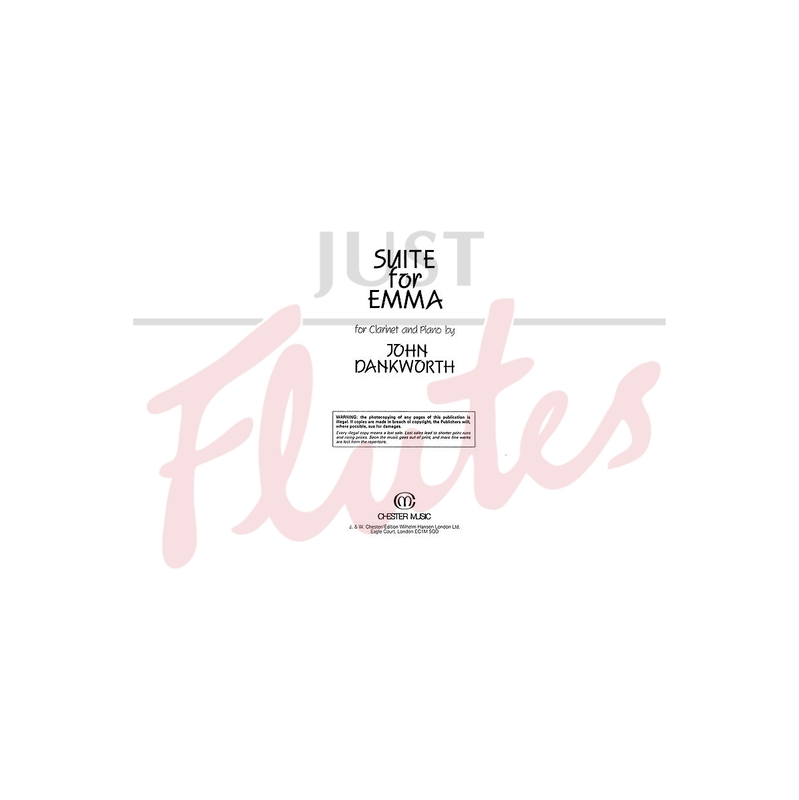 Suite for Emma is written in four movements – Valse, the haunting Pavane, Ballade and the Scherzo finale – and calls upon the entire range of the clarinet as well as demanding a very high level of musicianship in the Piano. Although written for Emma Johnson’s clarinet, the Suite is a partnership between the instruments. John Dankworth was a towering figure in British jazz almost from the earliest years of his career as a jazz composer, Saxophonist and clarinetist, and as an educator and speaker until his death in 2010. This piece was written for Emma Johnson, the 1984 Young Musician of the Year. She has since recorded it.